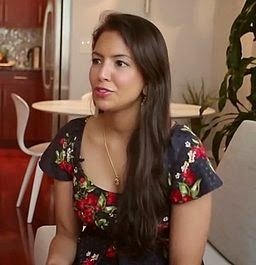 Vani Hari, known as the ‘Food Babe,” received the Disease Consortium’s 2015 Woman of the Year award at an undisclosed location in Chicago. Don singled out her October 2011 tweet claiming that flu vaccines were used as a “genocide tool.” According Don, the consortium’s research suggested that this tweet helped contribute to the spread of the California Measles Outbreak in 2015. Hari happily accepted the award, and thanks her handlers at the Consortium for getting her started as a food blogger. Hari says she has encountered resistance from skeptics. The crowd erupted into boos when she mentioned Dr. Steven Novella and Dr. David Gorski. She isn’t worried, however. Near the end of the presentation, Alex Jones walked on to the stage and presented Hari with a photograph of a flag. She smiled and held up the picture for the crowd. The Consortium is a secret organization believed to be responsible for creating the most contagious diseases on Earth.